Last weekend my cousins were driving back to Pittsburgh from Washington, DC. They asked if they could stop by and we could go out to dinner. I told them that they could stop by but we wouldn’t be going out to dinner. I asked if they liked BBQ Ribs and said that we could have a cook out and grill some ribs, have some side dishes, and I’d make cookies for dessert. 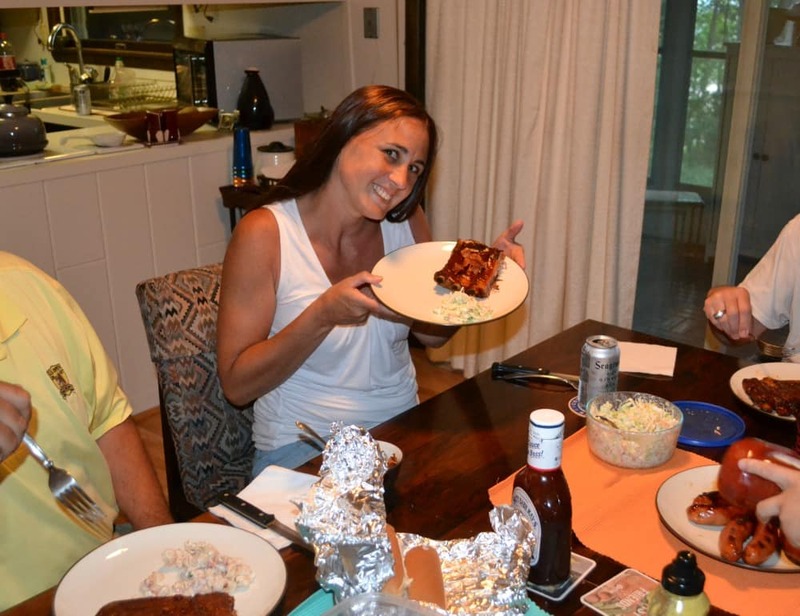 They were thrilled to come over and have a cookout and I was happy that I was going to get to try the Dr Pepper BBQ Ribs I’ve been wanting to make. I don’t often make ribs so when I went out to buy everything I needed, I had to ask for some help choosing the ribs at Walmart. They helped me pick out a few nice racks of ribs and I was able to get all the ingredients for the Dr Pepper BBQ sauce as well as all the side dishes from there as well. It made for a quick trip to the store. I started the ribs out with a simple rub and put them in the refrigerator over night. One thing I’ve learned when cooking ribs is to cook them in the oven for a few hours to get them tender and then put them on the grill with the BBQ sauce to finish them off. I knew that I needed some sort of liquid to cook them in so I went with a combination of water and Dr Pepper. 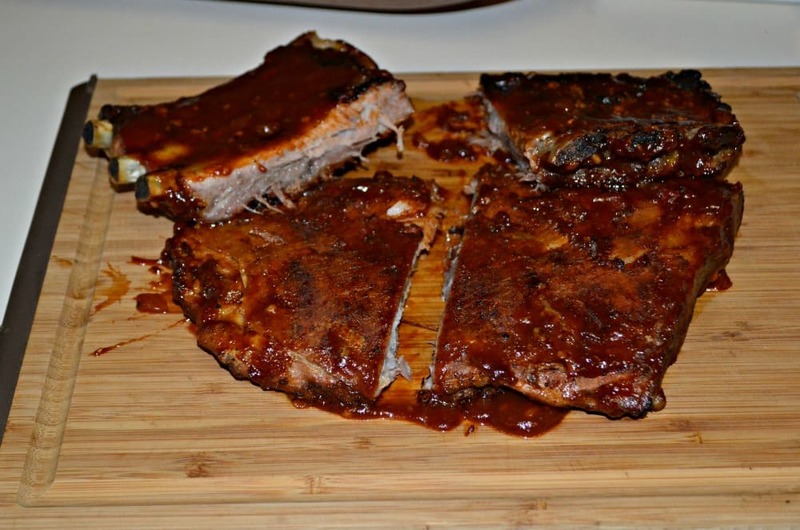 It really soaked into the ribs and gave them a nice flavor as well as kept them moist and tender. While the ribs were cooking in the oven I made the Dr Pepper BBQ sauce on the stove top. 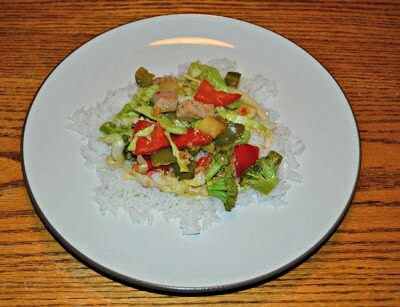 The reason I liked using Dr Pepper in the sauce is that it gives it a great flavor and acts as the sugar so I didn’t have to add any addition sugar to the sauce. 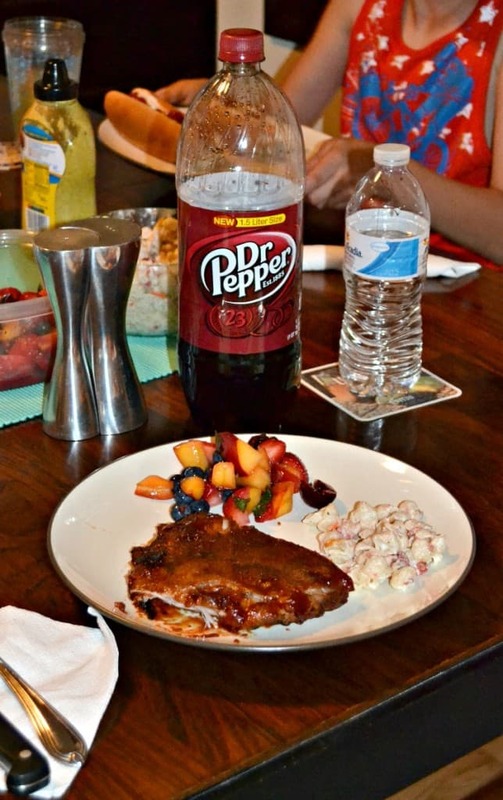 My husband isn’t a huge fan of super sweet BBQ sauces and the Dr Pepper added just the right amount of sugar as well as a wonderful flavor. I added in a little onion, a little garlic, and just a touch of cayenne pepper to give it a little heat with the sweetness. 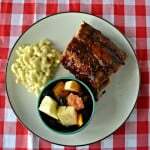 It is really one of the best BBQ sauces I’ve made! Then my husband, the grill master in the family, placed the ribs on the grill, slathered them in the BBQ sauce, and cooked them for about 10 minutes on each side. We served them up along with the remaining BBQ sauce on the side. When my cousins arrived they were a little late and a lot hungry. Along with the ribs we had macaroni salad, fruit salad, cole slaw, and cookies. The ribs were a hit and within 20 minutes all that was left were the bones and few spots of BBQ sauce. It was really fun to have them over and be able to grill a great meal for me. Plus, I found a new favorite BBQ sauce to make! 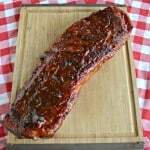 A delicious BBQ ribs recipe started in the oven and finished on the grill. Place the ribs on a cookie sheet. In a small bowl combine the sea salt, black pepper, paprika, brown sugar, mustard powder, and chili powder. Mix well. Rub the seasoning all over the ribs, coating them evenly. Cover the ribs with plastic wrap and refrigerator for 12-24 hours. Preheat the oven to 350 degrees. 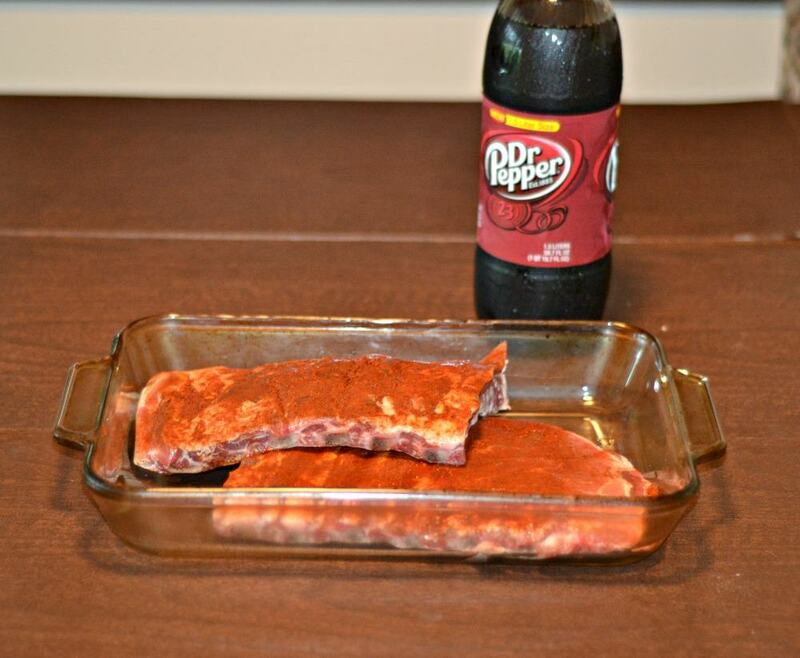 Place the ribs in a 9 x 13 glass baking dish. Add 1 cup of water and 1 cup of Dr Pepper. Cook for 2 hours, checking on the ribs occasionally to make sure there is still liquid in the baking dish. If not, add equal parts of water and Dr Pepper to the dish. Meanwhile, make the BBQ sauce by heating the olive oil in a medium saucepan over medium heat. Add in the garlic and onions and saute for 4-5 minutes or until they have softened and are fragrant. Add the ketchup, Dr Pepper, Worcestershire sauce, and white vinegar. Bring to a boil and then reduce heat to a simmer. Simmer for 20-25 minutes or until the sauce has thickened. Remove from heat and stir in the salt, black pepper, and cayenne pepper. Heat an outdoor grill to high heat. 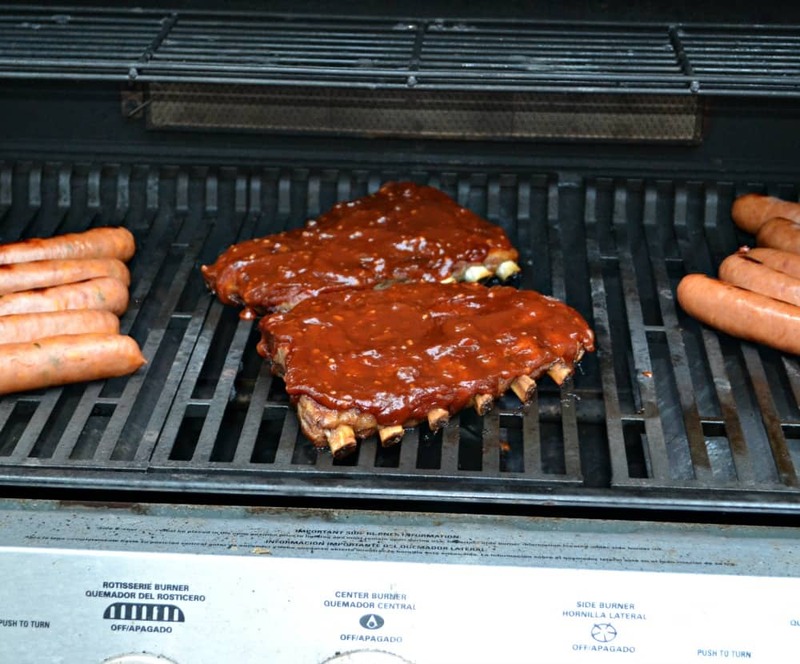 Take the oven cooked ribs and place them on the grill, meat side down. Slather with the homemade BBQ sauce and cook for 10 minutes. Flip the ribs over onto the other side, slather with more BBQ sauce and cook for 10-15 minutes or until the ribs looks slightly charred. 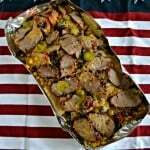 Remove from the grill and serve along with addition BBQ sauce. Aren’t they fall off the bone awesome cooked like that? This sounds amazing. 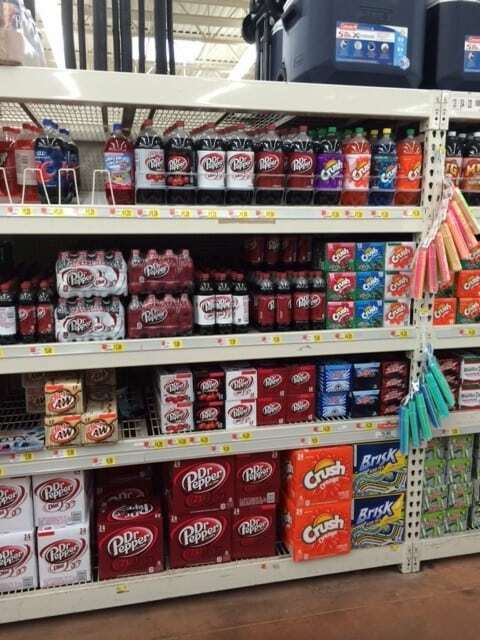 I never thought of using sodas to cook ribs. It keeps them really moist and juicy! This meal sound delicious. I can’t wait to try this recipe. They look fantastic. I’m a huge ribs fan, but we very rarely make them. I didn’t know to put them in the oven before you grill them. Part of the reason we don’t make them is because they dry out on the grill after so long. I will have to try out your recipe sometime and see what we think. Thanks for the idea.